One Little Word puts the focus on children choosing one word that is special to them in some way. They might choose a word that explains what they’re striving for this year. They might choose a word that describes them. They might choose a word they like the sound of. 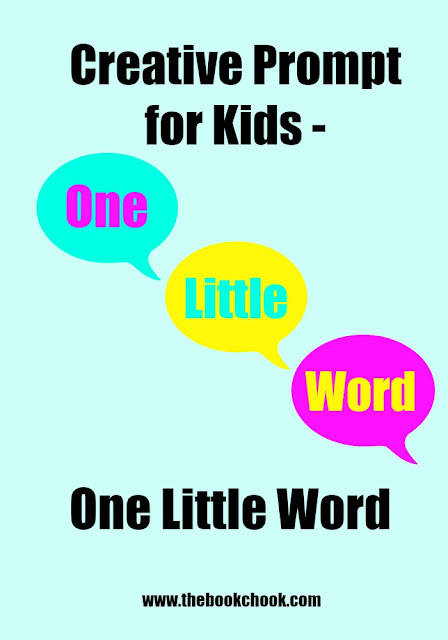 Once they’ve chosen a word, kids think about how they will communicate that one word to an audience. They could choose a 3D or 2D way. They might decide on some kind of digital tool to present the word. They could get a group of friends together and act out a scene around the word, or create a video of clips showing examples of the word. One Little Word can promote reflection on goals or aspirations. It makes a great project for Year 5 and 6 students at the beginning of the year because it helps students and a teacher get to know each other. It also makes a fine activity for a professional development session with adults. You will find other creative prompts for kids in the List below.